The tradition continues! Once again our media partner Nature has released a supplement for their publications that covers the research discussed at the Lindau Nobel Laureate Meetings. The annual meeting between Nobel laureates and young researchers in Lindau, Germany, provides a unique opportunity to glean gems of advice for a successful career in science. 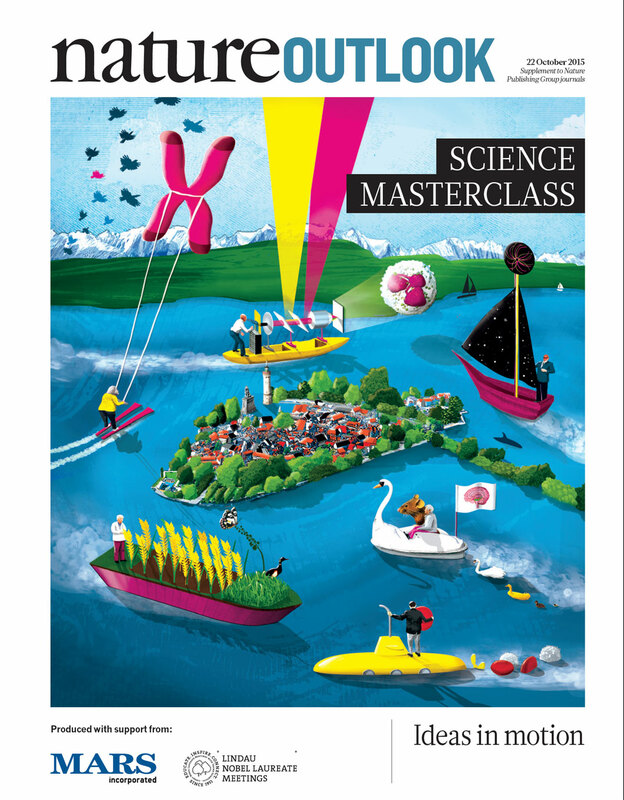 The 2015 meeting cast a spotlight on super-resolution microscopy, as discussed in depth in this Nature Outlook, as well as fields as diverse as memory formation and the Higgs boson. The supplement is available for free in ist entirety. To access it simply click on the cover below.